I'm not quite sure what has inspired this post. I suppose I have a barely-suppressed desire to be a bit naughty really, because what I'm going to write about is actually against the rules. No member shall take or authorise to be taken any photograph of the RCAS waters and/or activities for publication or to write or cause to be written any report or article on any RCAS activity for publication without the prior consent of the committee. This rule covers all media including the Internet. Failure to observe this rule could result in a life time ban. So yes, the rest of this post is pretty naughty. Especially the photos. So, Gavin, why do you want to join the Cons? Oh? Whatever gave you that idea? A Cons ticket was hard-won gold dust back then, and even more so now. Until recently you could visit the club's website and view the actual waiting list. Everything was there, the names, what year they were added, which particular sub-list they were on (ie., the family list, the <10 miles radius list, the >10 miles list, etc) but of course the latest data-protection laws have put paid to that. Scattered among the names was a mini Who's Who of prominent carp anglers. 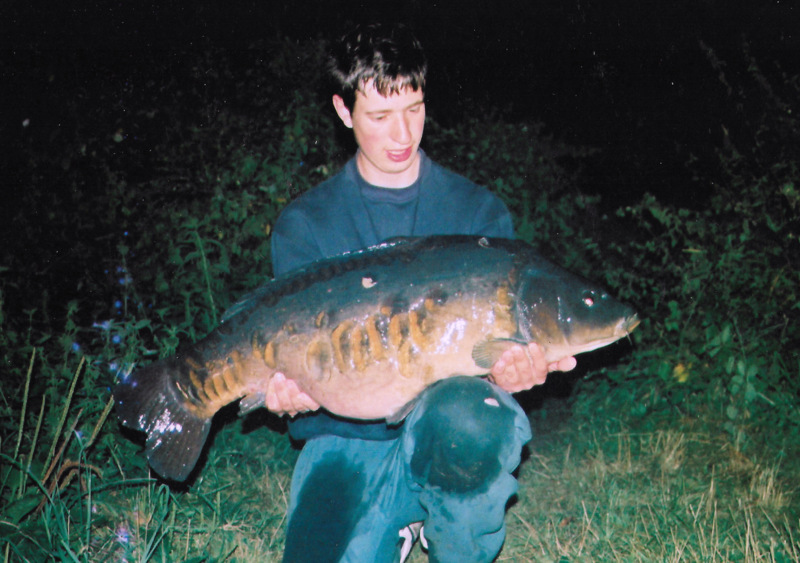 The Cons was, and is, an exclusive fishery with a stock of stunning, huge, highly desirable carp. But, because of the publicity ban, you'll struggle to find a published photo of a single one. 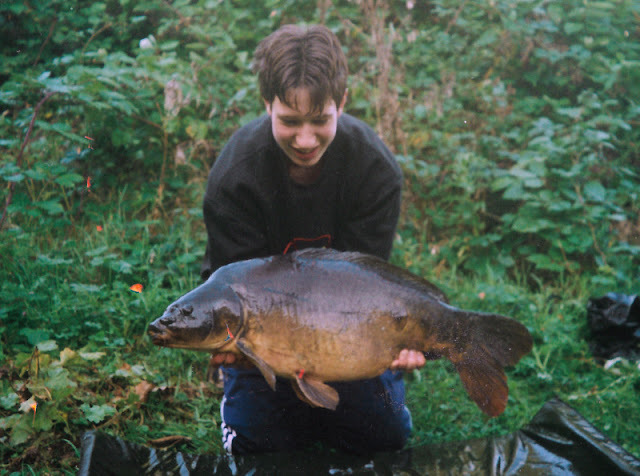 Anyway, I was hardly even a carp angler, let alone a deadly serious one. I simply (and handily) had a mate who was already a member, and I thought it would be nice to have access to a fishery with some clonking great carp in it. At the time I'd never even used a boilie or a hair-rig, which is angling code for 'I was a total carping noddie'. However, by my final season (which was probably 2001-2) I'd managed to winkle out a few nice carp up to 35lb, and one night was on hand to witness a 51-pounder on the bank, a colossal beast which took my breath away. But rather than talk about me, I thought it might be more interesting to view the Cons years through my son's experience, because in Rob's book it was a formative chapter rather than just an amusing paragraph. 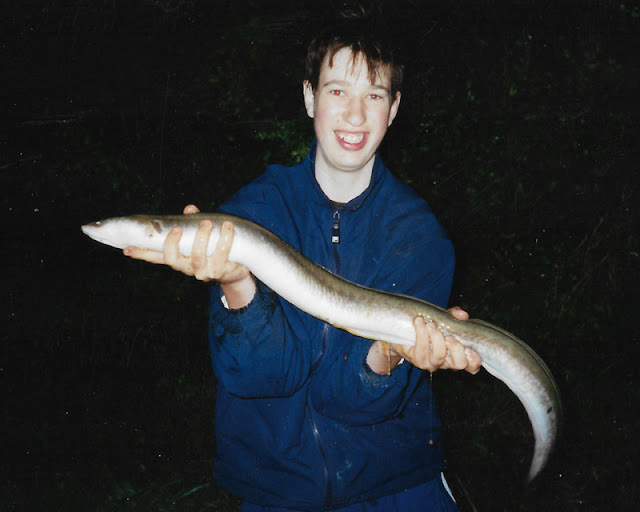 Rob's biggest Cons eel, at 4lb 5oz. We knew of 6lb+ fish caught accidentally by carp anglers, which is very big for an eel. Rob was 16. When I was that age, a fish of these proportions was a mythical creature encountered only within the pages of the Angling Times. A young angler cannot catch a fish of this size and not be fundamentally influenced by the experience. The desire for 'more' and 'bigger' bites hard. Not long after this, things went a bit pear-shaped for Rob. Following some relatively minor misdemeanours involving one or two of his dodgy mates, he was invited to attend a disciplinary hearing. The verdict: guilty. The sentence: one year's ban. Shortly afterwards Rob moved down and joined us in East Devon and, when the ban expired, did not renew his Cons membership. I allowed mine to lapse also. In the unlikely event that any rabid carper reads this he will doubtless be gasping at this perceived folly. To many, it's akin to throwing away the golden ticket. And, funnily enough, both of us have a tiny tinge of wistful regret. Despite living almost three hours away, it would be kind of nice to be able to drop in and fish such a mega-exclusive venue when the fancy takes us. But do we miss it really? No. The lakes were busy enough back then, and with the fish even bigger now, I can't imagine there are fewer anglers chasing them. These days, both of us prefer the solitude offered by an unpressured venue rather than the cut-and-thrust of competing for the prime spots, and the associated bankside 'politics'. February 2003. A really nice red hat. The rather delapidated shack pictured below was once the Cons club hut. 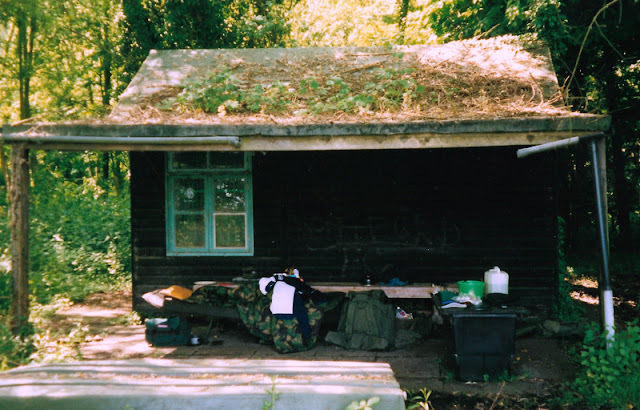 Situated on the banks of the Cons 'Big Lake', it commanded an idyllic view across the fishery. It's long gone now. The photo was taken in about 2002 I reckon, by which time a new, bigger club hut had been built elsewhere, and it's hard to believe that one beautiful spring day in the mid-'90s I slightly nervously walked through the door of this glorified shed, sat down in front of the committee panel, and managed not to muck up my membership interview. Sounds like a very priggish rule that is calling out to be broken. If you do pluck up the courage one day please let us all know. I thought your “bank side politics” was very politically correct and rather tame from my carp fishing experience. I would go as far as to say that the antics of a lot of them were childish tantrums and downright bitchiness. I sold all my carp fishing gear and books years ago but I remember one of my favorites was Quest for Carp by Jack Hilton. The other was Redmire Pool, which told of the legendary Redmire which was top secret to all but a select few. My biggest was a lowly 24lb, I think I have a photo somewhere. Your 34lb’er is impressive. A couple of classic fishing books there, Mike. It must be well over 20 years since I read them. To be fair, the Cons members were a pretty decent bunch when Rob and I fished there, but these days both of us are happier at much quieter venues. This is interesting, as I bird at Wilstone Reservoir, Herts, where there has recently been a notice warning members of Tring Anglers about the rules which ban just such publicity for club members, including on blogs, etc, and noting that the rules have recently been broken (seemed to imply action had been taken). 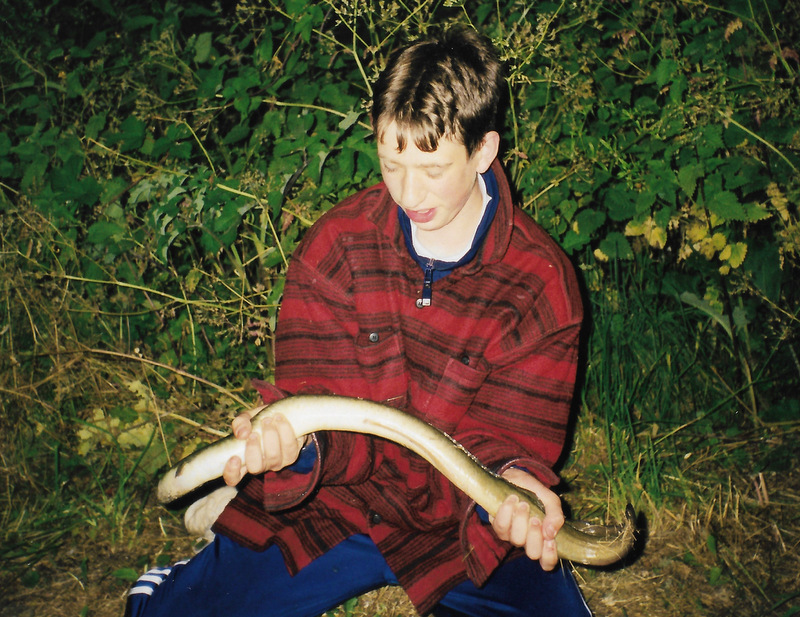 I can't for the life of me understand why you'd ban a blog post on the lines of 'Caught a Pike at Wilstone'. Me neither! 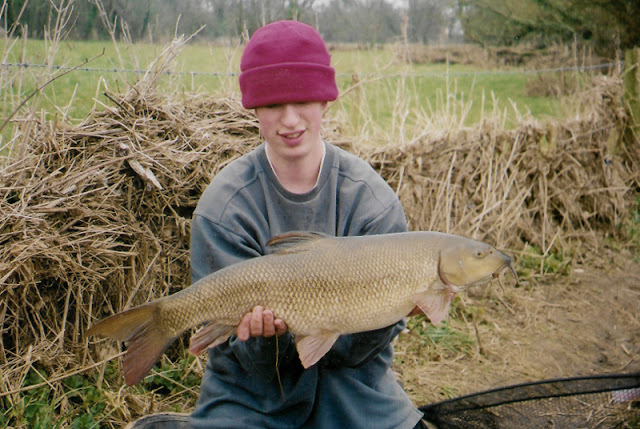 I fished at Tring many years ago, and there wasn't a no-publicity rule back then. I wonder why it's changed? Takes me back does all of that Gav. I too must accept a place in carp heresy as I've been offered membership of places such as Waltonians and the Fisheries no less. It's the price I paid for being interested in anything but carp. Didn't; and still don't, fancy paying the (now humongous) fees involved. My copy of 'Quest for Carp' gathers dust untouched for years. I'll probably rejoin the LAA for the prospect of an idle day on the Thames (Appleford maybe) after a slimy Bream.